Having worked with Jeremy and the Benchmark team for over a decade, they’ve become my sole source for recruiting or placing executive candidates in the security, intelligence, and high tech domains. I’ve worked with Benchmark on all angles of executive placement and have seen him place retiring U.S. government executives into meaningful business leadership roles and conduct thorough searches for executives to lead a company through their next phase of growth. Jeremy is a consummate networker and puts the effort in to maintain relationships over the long-term and his network continues to deliver value to those involved. Matthew Devost is a technologist, entrepreneur, and international security expert specializing in cybersecurity, counterterrorism, critical infrastructure protection, intelligence, and risk management issues. Mr. Devost is currently the President & CEO of FusionX, LLC, a global cybersecurity, technology, and risk management solutions company. Mr. Devost helps a global clientele identify and manage dynamic cyberthreats in complex operational environments. Mr. Devost holds an appointment as a special government advisor to counsel the U.S. Department of Defense leadership on a variety of security issues. Mr. Devost is also on the Black Hat advisory board, helping to shape the agenda for a series of world-class information security conferences. Additionally, Mr Devost serves as a Senior Advisor to CrucialPoint, has been an Adjunct Professor at Georgetown University since 2002 teaching the flagship graduate course entitled “Information Warfare and Security”, and is a Founding Director of the Cyberconflict Studies Association. Previously, Mr. Devost served as the Chief Operations Officer for iSIGHT Partners, a global risk identification and mitigation company, where he managed a full-time staff of 80 personnel with offices in Dallas, Washington DC, China, India, Europe, and South America. Mr. Devost was responsible for all business operations including directly managing iSIGHT’s global threat intelligence, vulnerability, and assessment practices. Mr. Devost was a founder of the Terrorism Research Center, Inc. (TRC) in 1996, where he served as President and CEO until November 2008. As founder and President, Mr. Devost oversaw all research, analysis, intelligence, assessment, and training programs including the development of the renowned “Mirror Image” training program, the Responder Knowledge Base, and the Terrorism Early Warning Group program which established local intel fusion centers in 56 high-threat U.S. cities. In addition to his duties as President, Mr. Devost also provided strategic consulting services to select international governments and corporations on issues of counter-terrorism, intelligence, information warfare and security, critical infrastructure protection, and homeland security. In 2006, E.P. Investments acquired TRC and in 2007 Mr. Devost became the President of Total Intelligence Solutions, LLC (TIS) and directly managed three subsidiary companies including TRC. Mr. Devost also co-founded and served as Executive Director of Technical Defense, Inc., a highly specialized information security consultancy. Previously, Mr. Devost was the Director of Operations for Professional Services at Counterpane Internet Security. At Counterpane, Mr. Devost led a team of technical information security consultants providing vulnerability assessments and information security consulting services to international corporations and governments. Mr. Devost had performed the same function as Director of Operations for Security Design International, Inc, which was acquired by Counterpane Internet Security. Mr. Devost has been researching the impact of information technology on national security since 1993. 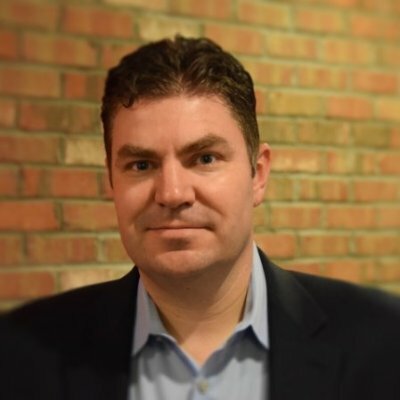 Prior to joining SDII, he was a founding employee and Director of Intelligence Analysis for Infrastructure Defense (iDefense), where he led an analytical team identifying infrastructure threats, vulnerabilities and incidents for Fortune 500 and government clients including Microsoft and Citibank. As a Senior INFOSEC Engineer at Science Applications International Corporation (SAIC), Mr. Devost provided support on Information Operations and its related subsets to the Department of Defense Community to include the Defense Information Systems Agency, the Joint Staff and unified Commands, the President’s Commission on Critical Infrastructure Protection, the Federal Bureau of Investigation, the Office of the Manager – National Communication System, and numerous other defense, intelligence, and law enforcement entities. Mr. Devost also developed and directed the first Coalition Vulnerability Assessment Team (CVAT), which conducted vulnerability assessments of coalition-classified networks during military exercises. Mr. Devost has appeared on CNN, MSNBC, FoxNews, NPR, CBS News, BBC television, NWCN, Australian television and dozens other domestic and international radio and television programs as an expert on terrorism and cybersecurity and has lectured or published for the National Defense University, the United States Intelligence and Law Enforcement Communities, the Swedish, Australian, Japanese, and New Zealand governments, Georgetown University, American University, George Washington University, and a number of popular press books – magazines, academic journals and over 200 international conferences. Mr. Devost has co-written or authored chapters for several books including Cyberadversary Characterization, Threats in the Age of Obama, Information Warfare Vol. 2, Sun Tzu Art of War in Information Warfare, and was the technical editor for Hacking a Terror Network. In 2004, Mr. Devost was appointed to the Defense Science Board Task Force on Critical Homeland Infrastructure Protection to provide advice to the Department of Defense and Department of Homeland Security. Mr. Devost served as a Senior Advisor to the Airline Pilots Association National Security Committee and is and adjunct member of the Los Angeles Terrorism Early Warning Group. Mr. Devost holds a B.A. degree from St. Michael’s College and a Master of Arts Degree in Political Science from the University of Vermont. Benchmark Executive Search helped us in the search for a VP/GM in our federal sector. We worked very closely with their partners during the process and were impressed with their access, market insight, and the personalized attention and time they dedicated to our search. They truly exceeded our expectations and stand out as a unique partner in connecting federal industry organizations with the best talent available. They can be trusted with the most mission critical assignments. I found their integrity refreshing, and believe it’s one of the things that really set them apart.